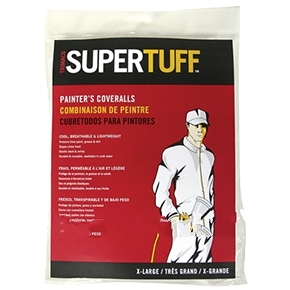 DISPOSABLE PAINTERS COVERALL. LIGHT WEIGHT FABRIC SUIT, ZIP FRONT, ELASTIC AT WRIST NOT ON THE ANKLE. SIZE X-LARGE PRICE/EACH.